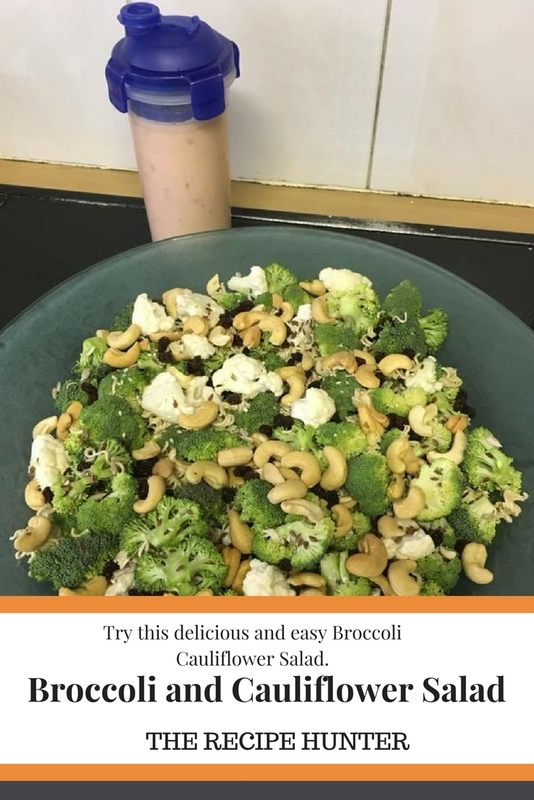 Try this delicious and easy Broccoli Cauliflower Salad. In a medium bowl, whisk mayonnaise, sugar, vinegar and red chopped onion. Pour salad dressing over before serving and give a good toss so all the ingredients are soaked in the dressing.